The closer we come to home, the easier the pedaling… the more we yearn for own our community. 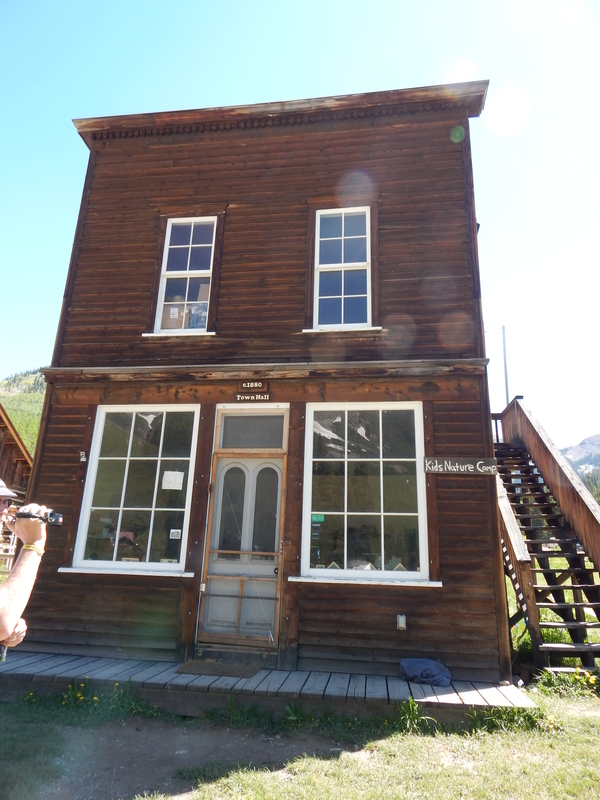 Today we leave Salida and cycle to Canon City –closer to home but not the destination. Canon is just a pit stop on the way to The Cliffs and the people who have thrown their weight behind the wheel moving us towards a town filled with music, vibrancy, and a sense of joined purpose. Art meets Nature if Cristo’s installation comes to fruition. You’ve driven route 50… the snaking road… between the cliffs… alongside the Arkansas – today frothing and whitewater wild. 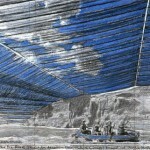 You know the rafters… paddling for dear life… the occasional Big Horn Sheep… and the canyon which (depending on your point of view)Cristo will either deface or delight with his “Over the River” installation. But unless you have cycled the river road, you may not appreciate how dangerous it is. The rider clings to the side of the pavement – cracked and caved-in with frost-heave. In the rider’s lane, cars come too close. Sometimes the driver has no option; other times, the driver has a thing about bicycles on his highway and the Lycra clad community. Impatient drivers passing slower vehicles in the on-coming lane also put riders at-risk. It is dicey out there. The riders are fit, but they are still in danger. Today’s ride is only 66 miles with an elevation gain of just over 3,000 feet. The jump in elevation comes on the approach to Royal Gorge. 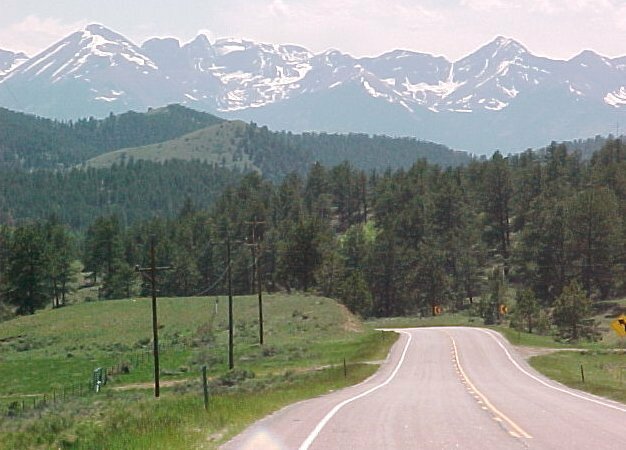 It will get the riders’ attention for sure, but as I said, our riders are so focused on reaching family and friends in Westcliffe that they are in the zone – pretty much oblivious to any of today’s hardships. The original Gothic Saloon. The bordello was upstairs. Handy. All riders came away pumped from yesterday’s 103-mile cycle from Crested Butte and Salida. Their smiles said it all: I am GOOD – stronger and younger than I thought! While the riders were proving their might, Sue Pitman and I took a side trip up past the Crested Butte ski park to Rocky Mountain Biological Laboratory. http://rmbl.org. Based in the once-abandoned, 1880s mining town of Gothic, the independent lab is funded in equal thirds by donations, federal grants, and the National Science Foundation. The purpose of the lab is to study high-altitude ecosystems. 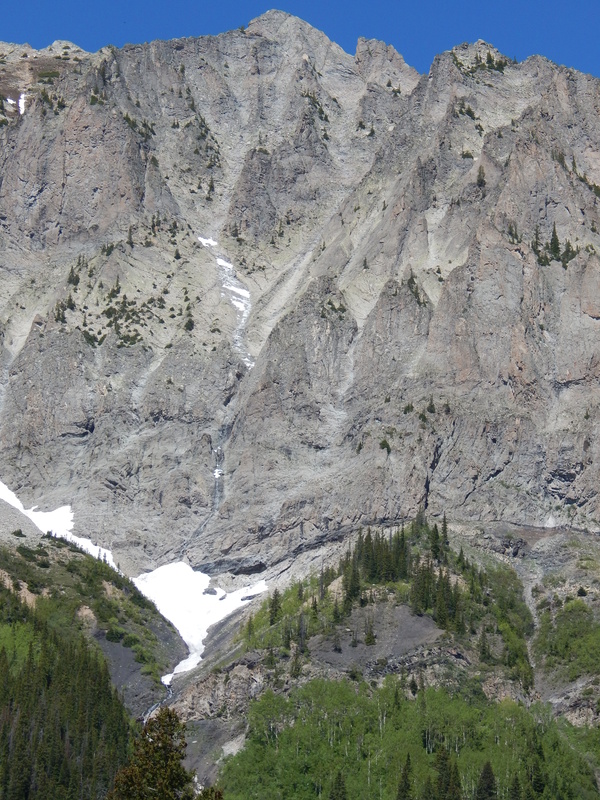 At one time, this snow field was a genuine glacier and water for the town of Gothic came off the glacier which over time decreased in size. Three years ago, the town was forced to drill for water. Of particular interest to Sue, a bee-keeper herself, was the lab’s research on pollination and food supplies. Given that a third of our food is dependent on pollination, and global warming is affecting plants and pollinating insects, the research is critical for protecting our vulnerable food supply. Put the coffee on. I’m coming home. 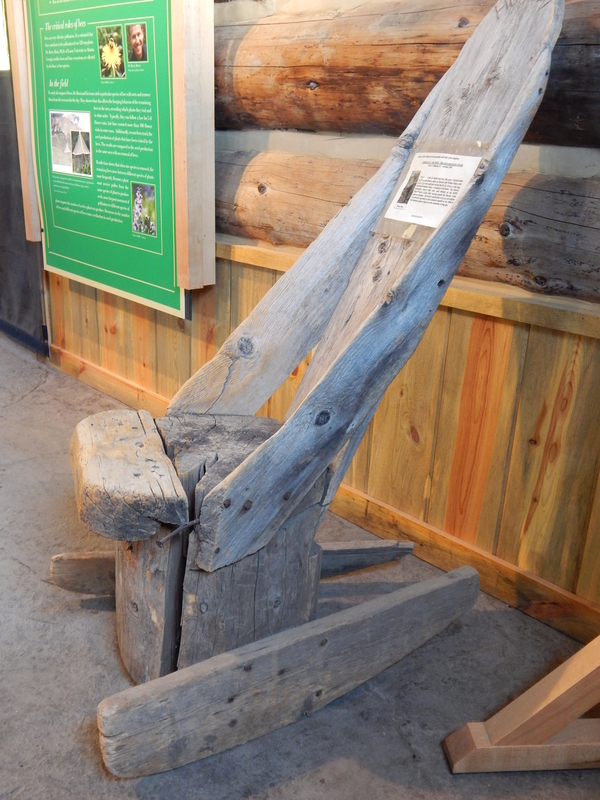 1880s miner’s rocking chair from Gothic. Basic but serviceable. I feel like I am right there with you! So you are Daisy Maeing it. Remember my dad’s mare who rode quietly going away from home, but walked and pawed all the way home? 🙂 Tomorrow sounds like a great time in Westcliffe! It is always good to leave town, but just as good (sometimes better) to return home. Coffee is on & Bloody Marys too! Welcome HOME!